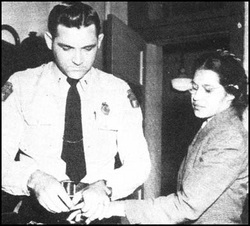 On December 1st, 1955 Rosa Parks decided she didn't want to give a white person her bus-seat. She'd had a long day at work, and was tired of giving things up, just because she wasn't a certain race. She was asked to move out of her seat for a white person. Many African Americans felt the same way but didn't know the consequences. Parks refused to get out of her seat, and was taken to jail. All of this made history for the African Americans. It changed our lives tremendously.